I took this shot along the Ocklawaha River in the Sunnyhill Preserve. 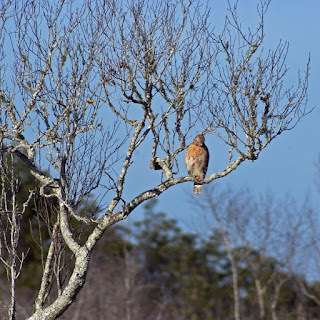 There is a 7.5 mile trail along the eastern bank that is a super place to see hawks, black vultures and other raptors. 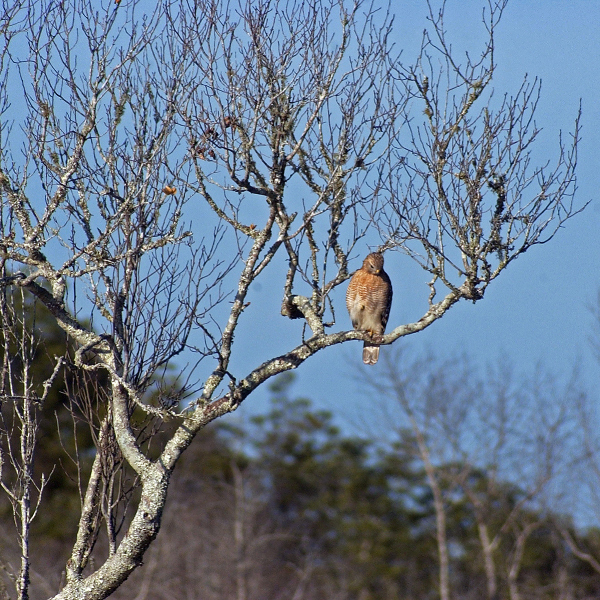 On the day I took this there were red tailed, red shouldered and Coopers Hawks. The trail runs along the dike that was put in years ago as part of attempting to control the Ocklawaha. On the prairie side of the dike are canals and smaller dikes. There has been talk of trying to undo all of this "progress" but I doubt if it will happen.